YouTube has had a bit of a rough time recently. With concerns around inappropriate content and brand safety mounting, the platform has taken a few arguably necessary and cautious steps to protect its users. The latest move is that the platform has pulled the plug on displaying ads on the videos of those with under 1,000 subscribers and 4,000 hours of watch time in the last year to prevent ‘bad actors’ from misleading and exploiting the system. But whilst there is incredible pressure for YouTube to ‘clean up,’ and tighten restrictions, there is concern among creators that the new policies will only cause big creators to get bigger, while smaller influencers — who are often more cutting edge — may feel less supported. Although the recent change to the platform isn’t seismic in proportions — for creators with subscribers in the low thousands, the most they can expect to make from a brand deal or from AdSense would be no more than £100 — the principle of exclusion could be enough for up-and-coming creators to stop thinking of YouTube as an exciting creative outlet that rewards talent. The worrying part here for YouTube is that this won’t mean people stop creating new vlogs, blogs, and content online, but it may mean they go elsewhere to start their careers. For YouTube, this could cause future difficulties if they try to migrate creators back to their platform after they’ve built audiences elsewhere. 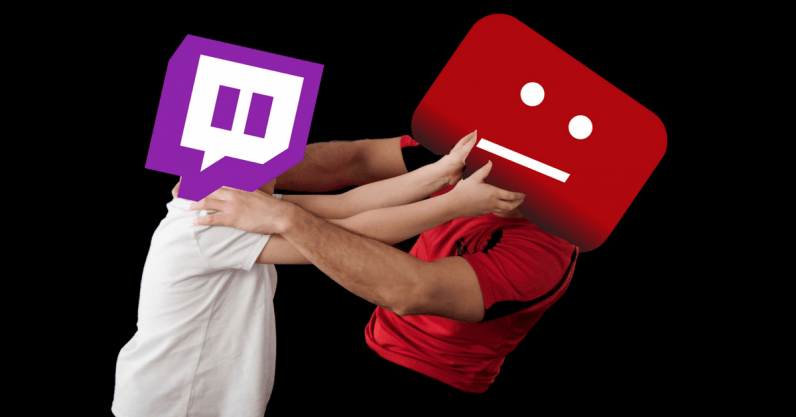 A prime contender against YouTube is the livestream site, Twitch — a gaming focused platform that has extended to streams on art, music, popular culture, and TV. Can Twitch really be a threat to YouTube though? Seriously? The short answer is “yes.” Already boasting 100 million users every month, Twitch is a fast-growing platform for gamers. What’s more, it’s owned by Amazon, and as the tech behemoth continues to take on Facebook and Google in all areas from data to advertising, you can be sure they’ll be putting even more weight behind Twitch as video content continues to grow in popularity. On top of this, gaming is lucrative on YouTube, with a large proportion of its renowned rich list consisting of gamers. This does work in YouTube’s favor, but their audience will likely go where they can get the most, and highest quality, content. Simply put, wherever the creators currently are. The inherent fan funding element of the Twitch platform, alongside easy monetization options, make it a more reliable income source for creators, while many advertisers are also backing the platform. For example, Disney is now working with Twitch to bring its influencers to the platform. Does ad monetization really matter that much? Strictly speaking, in order to sell ads influencers have to be in the YouTube partner program. The recent updates to the platform mean that fewer people qualify to be a part of this, but ultimately anyone can still produce sponsored videos, regardless of the changes. Small creators can still build fantastic partnerships with brands looking to target their niche audiences, and they can still post affiliate links on their channel. YouTube is still the place where influencers can find the biggest audiences. The difficulty lies in the potential shifting perception of the platform. The diminishing support for the grassroots community of creators could damage the reputation of YouTube as the go-to for creative content, perhaps forcing more influencers to leave and go elsewhere. Meanwhile, there are potential pitfalls for brands, too. Smaller creators tend to have highly engaged and niche audiences, and these changes mean brands will have lost a key avenue through which they can serve advertising directly to those specific and unique audiences. This represents a reduction of targeting power for more specialist audiences. That said, they can still partner with them, which is a more effective strategy anyway when aiming for engagement with the viewers, but from the creator perspective it gives them fewer opportunities to prove their value to brands and advertisers on their path to growth. So is YouTube’s reign supreme over? The crucial thing here is that Twitch simply has not faced the intense levels of scrutiny YouTube has been placed under in the past. While possible that Twitch has found some way to be an entirely brand-safe UGC platform, the very sentence sounds like an oxymoron to most marketers. It’s easy for up-and-coming platforms to present an alternative to YouTube — but this is only because YouTube is King, and it’s watched as closely by businesses as Prince Harry and Meghan Markle are by the celebrity press.